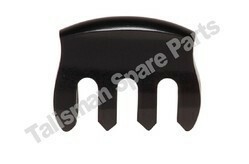 We are offering Ebony Curved Mute. Available in Violin, Viola & Cello. We are engaged in offering Wooden Violin Mute. Our reputed entity is engaged in supplying Wooden Violin Mute. In order to meet excellent quality standards, we are supplying Wooden Violin Mute. We are amongst the most reputed names in the industry, offering Wooden Violin Mute. We are a top-notch organization, engaged in providing Wooden Violin Mute. Mute is a small wooden device attaching to the bridge of the violin gives a soft & melodious tone, with fewer audible overtones. Best quality wooden mutes are available in a wide variety of shapes and sizes. 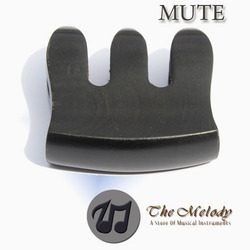 The smooth finish of our range of mute make them ideal to be used by the violin players. These violin mutes can also be custom made depending upon the clients' requirements. Banking on our enriched industry experience, we are able to supply Wooden Violin Mute. We hold expertise in offering finest range of Wooden Violin Mute.